Evolution of Innovation Management. What does it take to move from a closed to an open innovation strategy? In my book “Evolution of Innovation Management: Trends in an International Context“, published by Palgrave MacMillan and co-edited with my colleague Alexander Brem, I have underlined that the open innovation trend, where companies are expanding their boundaries for getting new ideas, is still continuing. On one hand, companies are forced to intensify their innovation potential because of increasing competitive pressure, shorter product life cycles, combined with declining R&D budgets and low success rates of innovative products. On the other hand, the outsourcing and networking for creativity and innovation management is facilitated by different factors: the democratization of knowledge through the internet, the increased cooperation between firms and their suppliers, the growing mobility of highly experienced and qualified employees, and the ubiquitous presence of private venture capital. The need to change is pressing but in reality many large and medium-sized firms are still in a transition from closed to open innovation. What does it take to move from a closed to an open-innovation strategy? In our book, Brau, Reinhardt, and Gurtner detail the three priorities that top managers need to consider. They are the company´s “absorptive capacity”, its organizational structure, and its corporate culture. Before they actually benefit from the open innovation strategy, firms need to establish an adequate level of “absorptive capacity”, in other words, the ability of a firm to recognize, assimilate, and apply external information to its innovative capabilities. The more problem-related knowledge a firm possesses before the acquisition of external information, the simpler and shorter the learning and integration process become. The concept of absorptive capacity is not limited to the acquisition of external knowledge, but also includes its exploitation. Consequently, firms must not only focus on the environment, but on the intra-organizational transfer of knowledge as well. Switching to an open innovation strategy implies an extensive use of inter-organizational relationships with a vast network of universities, research institutions, suppliers, and users. Thus, a prerequisite to an efficient open innovation strategy is to set up the appropriate structures that enable outbound cooperation. The evaluation process has to also be adapted in order to foster the ability to extract value from external partnerships. It is also important to implement knowledge management systems in the organization to integrate the external ideas and knowledge in the core capabilities of the company. Finally, moving to an open innovation strategy requires a cultural rethinking with values and norms that encourage the openness to new ideas and the ability to acquire relevant knowledge. A company must be able to listen to its customers, potential customers and any source of information coming from its market. When it comes to the use of technology, the firm, and especially the R&D structure, must be able to overcome the “not-invented-here” and “only-used-here” syndromes which are nixing any external idea or expertise. Finally, firms also need a culture that promotes organizational learning, i.e. to learn from experience and to adapt accordingly. 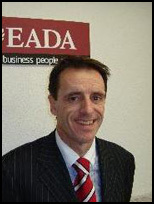 What is EADA’s ideal MBA Candidate?